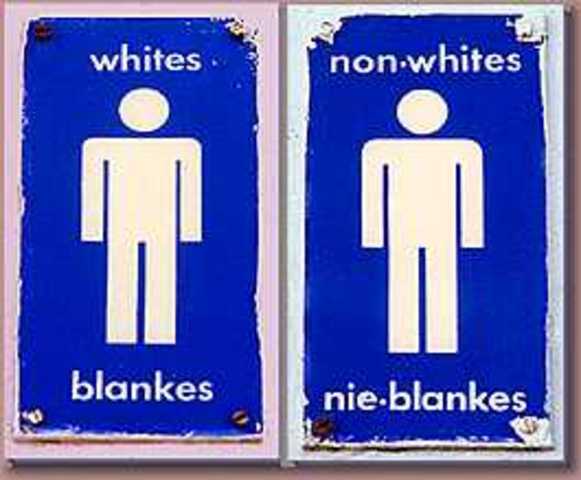 End of South African Apartheid? Between 1948 and 1994, South Africa was governed by the National Party. The government used laws to maintain a segregation of the country’s black and white citizens. This allowed the minority whites to keep the majority blacks at a political, economical, and social disadvantage. Inter-racial marriage between whites and other races was illegal. Black-owned businesses were restricted as to where they could operate. There were separate “black” and “white” buses. 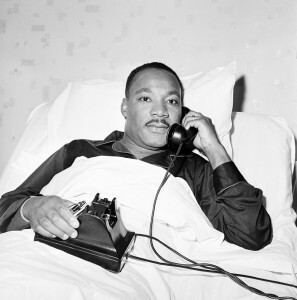 Even hospitals and ambulances were segregated. When non-whites went into white-controlled areas, they were required to carry papers with their fingerprints, photo, and identification information. There were protests against apartheid throughout this time. Protesters could be locked up, whipped or fined. One of these activists, Nelson Mandela, was arrested in 1962 and was sentenced to life in prison with hard labor – he was forced to work in a limestone quarry. 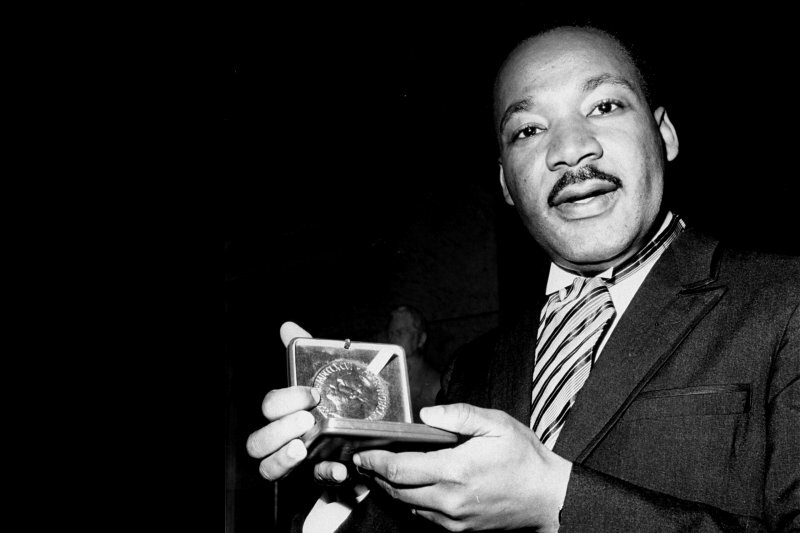 Inspite of having very limited contact with the outside world, he was only allowed one visitor every six months, he became the best known representative of the anti-apartheid movement. He ended up spending 27 years in prison before being released in 1990. After his release, Mandela traveled and spoke in several countries, gaining international support for the end of apartheid. The final stop in his world tour was before the U.S. Congress. He was only the third private citizen to address Congress. South African President Frederik Willem de Klerk and Mandela worked together to end apartheid. On April 27 and 28, 1994, black South Africans were allowed to vote in elections for the first time. They elected Nelson Mandela as the country’s first black president. He served from 1994 to 1999. 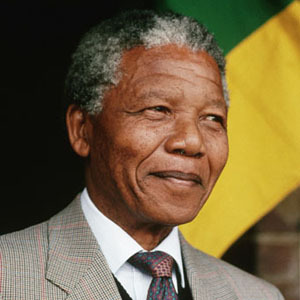 Nelson Mandela 1918 – 2013, skilled ballroom dancer, lawyer, prisoner, and South African president. What is the riot act? Did your mother ever say, “If you come home past curfew, your father is going to read you the riot act!”? Or a friend said, “Remember that time we sneaked a goat into the teachers lounge? The principal sure read us the riot act.”? Now it usually is used to mean a harsh scolding that enumerates all your current misdeeds. If you also get a list of everything you’ve done wrong in forever, that means you’ve married a wife with an excellent memory. Where did this come from? Well, in 1714 the British Parliament passed a law that would allow the local constabulary to disperse a crowd of 12 or more people in order to prevent “tumults and riotous assemblies”. First they would be read a proclamation that they must break up the group, within an hour, on pain of death. Our Sovereign Lord the King chargeth and commandeth all persons, being assembled, immediately to disperse themselves, and peaceably to depart to their habitations, or to their lawful business, upon the pains contained in the act made in the first year of King George, for preventing tumults and riotous assemblies. God Save the King! Have you noticed that the difference between Riot Act and Patriot Act is just one little “pat”? Probably the one they give you going through airport security. If you want to read the text of the Riot Act, you may do so on Project Gutenberg. If that’s too tl;dr for you, you can listen to it on LibriVox. You can find a lot more about Whigs and Tories on this George Mason University page, Historical Outline of Restoration and 18th Century British Literature. 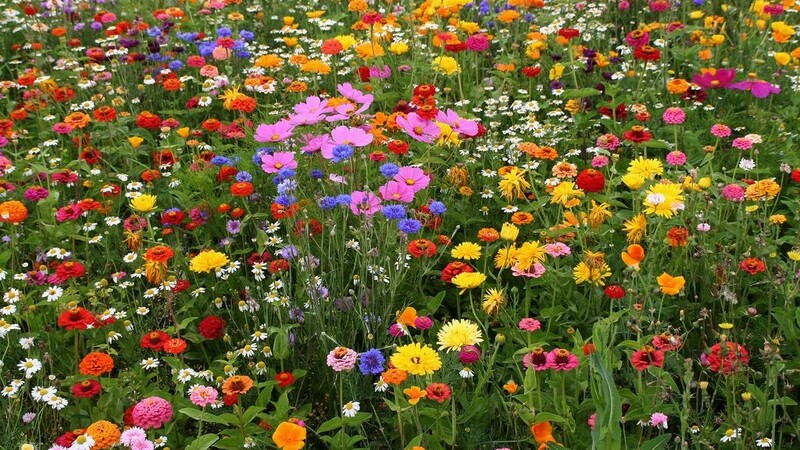 Instead of posting a picture of a riot, I posted a field of flowers. You’re welcome.